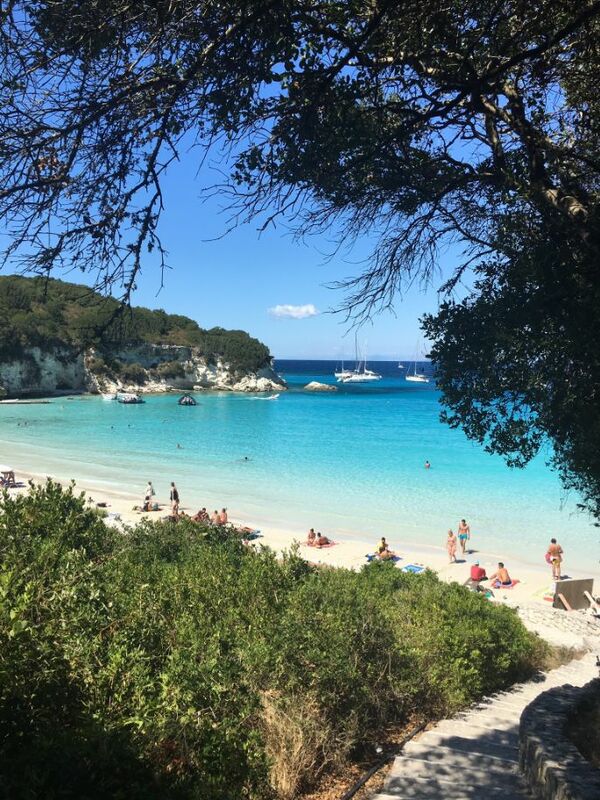 One mile south of Paxos lies the tiny island of AntiPaxos, just 4 kilometres by 3 and with a population of thirty. There are four tavernas above the sandy beaches of Voutoumi and Vrika but no shops. 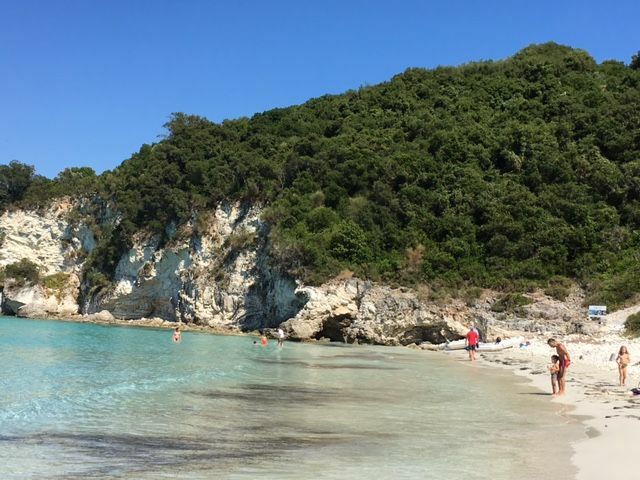 A frequent speedboat service take passengers from Gaios to AntiPaxos and back until 5.30pm. A stay at one of our AntiPaxos villas will mean waiting until 5.30 to have the beach to yourselves or a morning swim before 10.30. Shopping on Paxos can be done using the speedboat service to Gaios, which has a good selection of shops. The island is a romantic escape for couples and the more adventurous family not wanting organised entertainment. Without the light pollution of a village, the night time sky is a magical and theatrical display. An undulating interior of wild hillsides, carpeted by maquis and small olive trees, hides valleys of vineyards above beaches of sand and pebble. There exists a rare feeling of absolute peace and quiet. There are no roads as such – rough donkey paths have become walking paths to connect the island’s tiny port with the small houses scattered over the island and over the past few years a few locals have shipped over a battered jeep or two to help carry supplies to renovate a crumbling stone cottage. Donkeys and walkers however still have right of way and you can hear an approaching battered jeep from afar. 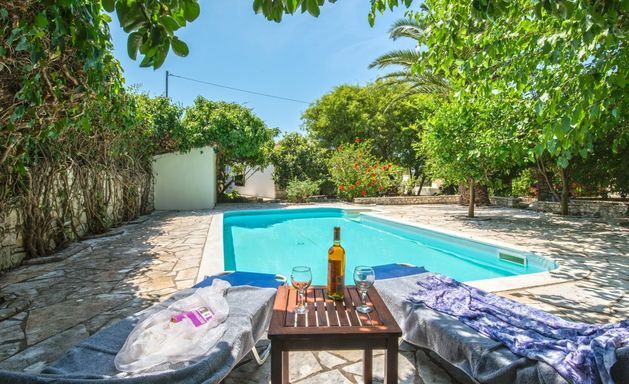 Our AntiPaxos villas have a freezer, satellite TV, air-conditioning, torch, games, books on local flora and fauna and a phone to contact the owner if in need of assistance. 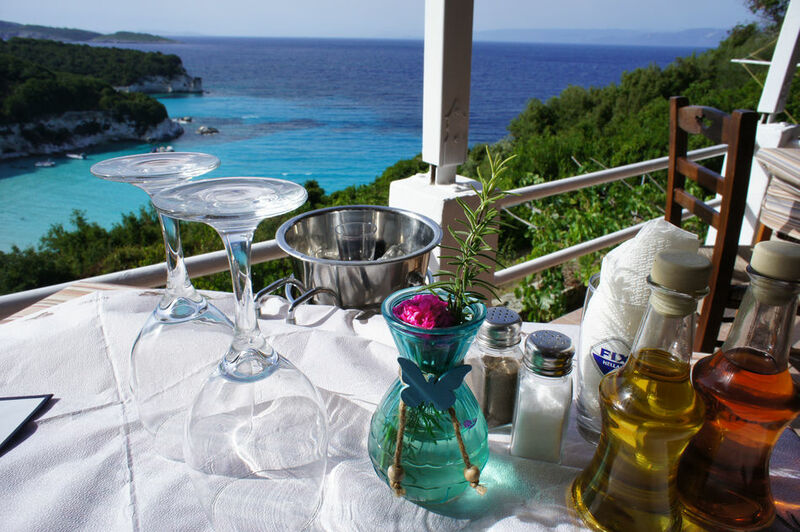 Kaliopi is on the east coast of AntiPaxos, above a vineyard and a small beach. 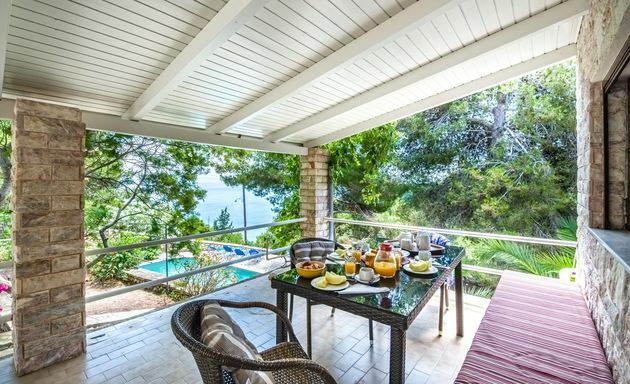 No other house overlooks Kaliopi and it enjoys total privacy. 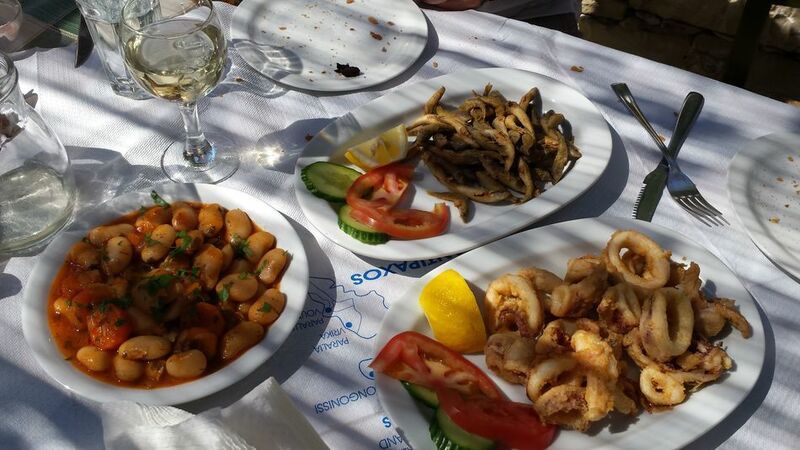 Phoebe is just a ten minute walk away from the Bella Vista taverna and the sandy beach of Voutoumi. Set in a garden of mulberry, lemon and almond trees, Phoebe enjoys total privacy.